At the end of next week Tampa, Florida will become my new home. My husband and I are excited for this new adventure, and I certainly can’t wait to get started in my new job as an urban designer for a transportation planning firm. Anytime I move to a new city it’s important to me to understand how, when, and why it is there, and who helped build it. That will be my heritage, and as I have mentioned before, that is critical in continuing to develop a place with the utmost meaning in people’s lives. My home city of Charlotte, NC was developed around a trading post where two Native American trading paths crossed. I have always felt comfort in knowing how my built environment originated. I wanted to learn the heritage of my new city, and I thought we could do it together. Of course Tampa has a long Native American and Spanish history, but who really caught my attention in the development of Tampa as part of the 4th largest metropolitan area in the Southeast, was Mr. Henry B. Plant. For those who live in Florida or have studied transportation history in America, Mr. Plant is a well-known character. But I must admit, the story of Mr. Plant’s contribution to the Atlantic Coast Line Railroad in the late 1800’s was new to me. The Plant System is an intricate system of railroads that begin in Savannah and extend throughout Georgia and Florida. 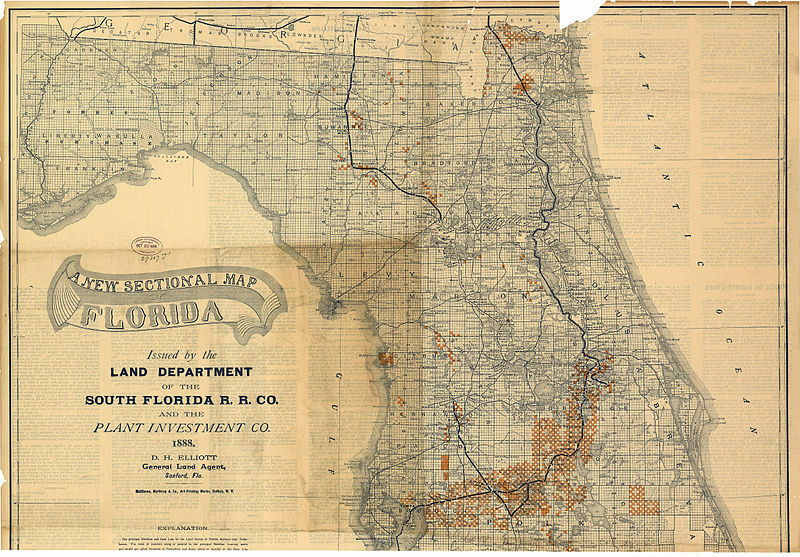 While obviously there were some towns established in Florida, like Tampa, Mr. Plant’s railroad not only caused those cities to boom in population, it was a catalyst for brand new development. It also started entire industries for Florida, including tourism. Mr. Plant was a businessman and knowing that his railroad allowed Americans to travel to the state for the first time, he built a series of hotels along the line. On the edge of the tropics, Florida offered sunlight, constantly warm weather and fresh air believed at the time to treat breathing disorders. People came in the masses, filling his rail cars and hotels. The Tampa Bay Hotel still stands today as the Henry B. Plant Museum on the campus of the University of Tampa. 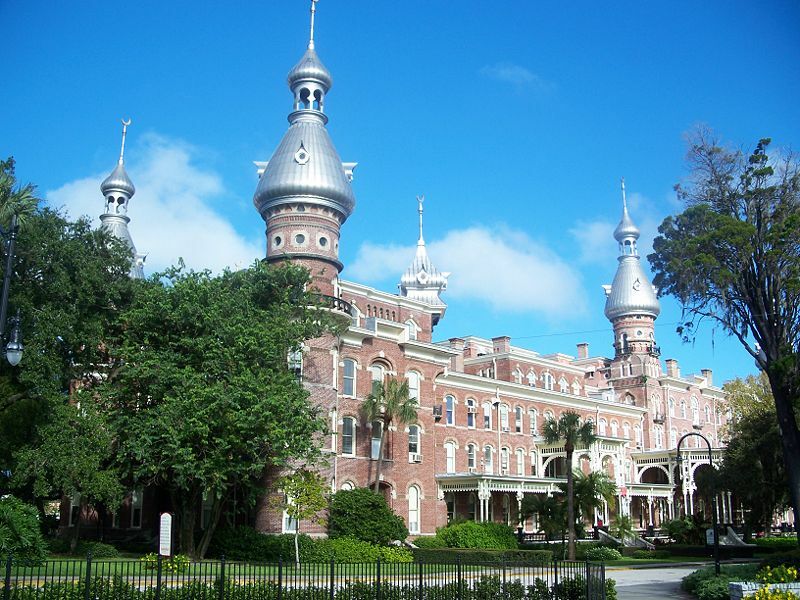 Preserved in its original Moorish Revival style, it is literally breathtaking in person. Henry Flagler, another railroad tycoon, built hotels in Miami, St. Augustine, Daytona, West Palm Beach, and Key West. With an extensive railroad transportation system and luxurious places to stay, Florida development boomed. You might ask where the cigars come in to play. It’s simple, when Tampa was connected to the rest of the state, the southeast, and country by Mr. Plant’s railroad, it allowed a gentleman by the name of Vincente Martinez Ybor, a cigar maker of Spanish descent, to move his cigar company from Key West to Tampa. An industry was born. A neighborhood directly north of downtown Tampa was filled with warehouses that produced Cuban cigars for decades. Today this neighborhood, abandoned after the U.S. Embargo against Cuba, is being revived as an entertainment hub in those same warehouses. My godfather clued me in on the phrase “Hav-a-Tampa!” A non-smoker myself I was completely unaware that an entire product was named after the city in which it was created. The biggest lesson learned from this story is that transportation in the key. Of course, I have become very aware of this in the present day, but what is disheartening and hopeful at the same time, is that we have fore-thinkers like Mr. Plant as an example. Building transportation before there was anything to be transported to currently is a completely revolutionary idea, when in fact it’s not revolutionary at all. There were no thriving industries or development to build a railroad to, but Mr. Plant built one anyway, and in doing so, he created them. My wish for us as Americans and our country is that we can have the forethought to learn from our predecessors like Mr. Plant. We are at the turning point, the precipice, or whatever you want to call it. Right now we have to put the investment into our built environment that will allow us to stop polluting the earth, depriving our health, and tearing apart our communities. Public transportation must happen. And when it does, only positive benefits will ensue. What new industries will be created? How will we rebuild our relationships with each other? Starting next week as I pass the glorious Tampa Bay Hotel and eat dinner in an old Ybor City warehouse, I will remember Mr. Plant and be inspired by his gutsy and brave commitment to changing the world he knew. I hope I can do the same.